You can read a lot of books on evangelism and never see much discussion about the need for apostolic character. It is easier to talk about methods and programs, activities and strategies. Yet often our methods have been find, but our ‘fragrance’ has been foul. Instead of projecting the sweet fragrance of Christ (2 Corinthians 2:14), we have put out an offensive odour that hinders people from receiving our message. To make things worse, we are usually totally unaware of the ’spiritual B.O.” we are carrying. Everyone around us notices the B.O. before we do. A great tragedy frequently plaguing the Church is the disconnect between evangelism and discipleship. A discipleship that develops character as we move from justification to sanctification and thus become more and more like Jesus. Those who are passionate about evangelism (and, as apostolic people we all must be) are often unconcerned about bringing the converts to maturity in character. Do you see the integral role that apostolic character has in God’s eternal plan? 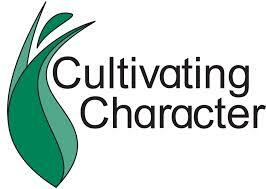 The Lord has a passion for spiritual reproduction, but it is tired in with character. He wants to multiply those who are under His authority and in His image. That is how the glorious likeness of Christ is to be spread upon the whole earth. If you work in an office and had to make 1000 copies of a certain document, you would be wise to first check the document for errors. If it had typos or had been damaged by coffee stains, you would want to remedy such blemishes before making many copies. In the same way, God very much desires to reproduce His people – But He also has a commitment to transform us into the image of His Son. This does not mean that God is a perfectionist, for He certainly uses imperfect people to spread the Gospel. Nor does it mean that we should wait until we have perfect character before we start evangelizing, for we would be waiting a long time! However, we need to realize that there is a clear link between character and effective evangelism. The more we are conformed to the image of Christ, the more enthusiastic God will be about multiplying us. Other people, likewise, will be much more enthusiastic about receiving the Gospel form those who have good character. One of the biggest keys to effectiveness in either evangelism or any ministry is simply this: People must want what we have. If we are living lives that make the people envious, they will readily receive our message. If, on the other hand, they are turned off by our lifestyle, all the eloquence and Bible knowledge in the world will be inadequate to convince them. There will never be a genuine revival of apostolic evangelism unless it is accompanied by a revival of apostolic character. Before Isaiah was ready to say, “Here I am, send me,” his sins were purged by burning coals from the altar of God (see Isaiah 6:1-8). Before we can spread God’s message, it first must be allowed to do its work in our own lives as apostles and apostolic people.